Fiona is about to have the worst summer ever . . . and it’s all her best friend’s fault. Fiona and Cassie are best friends forever. No one else can make Fiona laugh like Cassie can, and that meant everything when Fiona’s parents were divorcing. They love each other in spite of their (many) differences, and even though Cassie cares a little too much about being popular, Fiona can’t imagine life without her. Until Fiona’s diary is stolen at school, and everything changes. It’s a worst nightmare come to life, because not only is her diary taken, she finds out that later that day, her most secret thoughts were read out loud on the bus by the popular kids. Fiona is humiliated. Even worse: Cassie was right there, and she didn’t do anything to stop it. And now, for some reason, she’s ignoring Fiona. Suddenly the whole world has shifted. Life without a best friend is confusing, scary, maybe impossible. 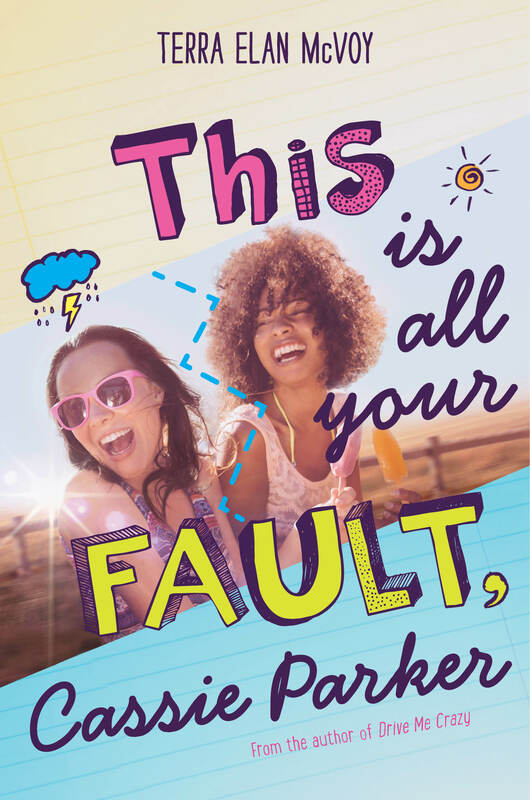 But as Fiona navigates a summer of changes, she learns more about herself—and friendship—than she ever thought possible. Interspersed with entries from Fiona’s diary, and bursting with Terra Elan McVoy’s signature warmth, this novel is for anyone who’s ever tried to figure out how to be a good friend. I hope you all are as excited as I am. I can’t wait to share this book with you! Author of "Pure" and "After the Kiss"